Ecosustainability, protection of the territory, sharing of values ​​and objectives. 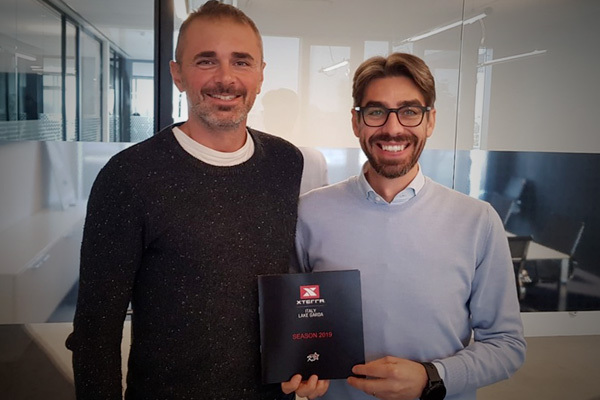 They are the pillars at the base of the new partnership between XTERRA Italy Lake Garda and Mailup, Cremonese company founded in 2003 and has grown to become the global market leader in the Messaging sector. A precious presence alongside the organizational apparatus of the first Italian stage of XTERRA, that will be played at Toscolano Maderno the next 26 May in the magnificent scenery of Lake Garda.
'' We feel very close to the values ​​of sustainability and environmental protection conveyed by the XTERRA brand: green is an important thread for our company. Moreover, the close link with an international competition like XTERRA Italy Lake Garda allows us to develop greater visibility, strengthening the Mailup network, which is already present all over the world with offices and offices located in Italy, Denmark, Holland, United and South America ''.
'' MailUp is an international reality, but founded in Cremona by Cremonese professionals. This identification with the territory is also fundamental for XTERRA, an event that is born and lives on the local territory, but looking at the world ". Advanced tools of Marketing Automation, personalized advice, training resources and decades of know-how: MailUp offers companies of all sizes everything needed to structure advanced marketing strategies via Email, SMS and Messaging Apps. Today, more than 10.000 companies around the world rely on MailUp as a strategic partner for their digital marketing activities. Adherence to the values ​​of environmental protection is a distinctive feature of MailUp, in the forefront of encouraging the correct disposal of waste and a responsible use of environmental resources, in order to avoid unnecessary waste of materials, especially paper. Plus MailUp cin fact, it collaborates with the start-up Treedom to compensate the emissions of CO2 through the creation of forests all over the world. The 'MailUp forest' stems from the desire to protect the environment and promote a more careful behavior towards the planet's resources. This item has been inserted into Lake Garda, Top G. Add it to Bookmarks.